C/O 2022 Seminole Send Off Congratulations to the future Class of 2022! Let's send the Miami-Dade county high school seniors admitted to FSU off to Tallahassee in style. 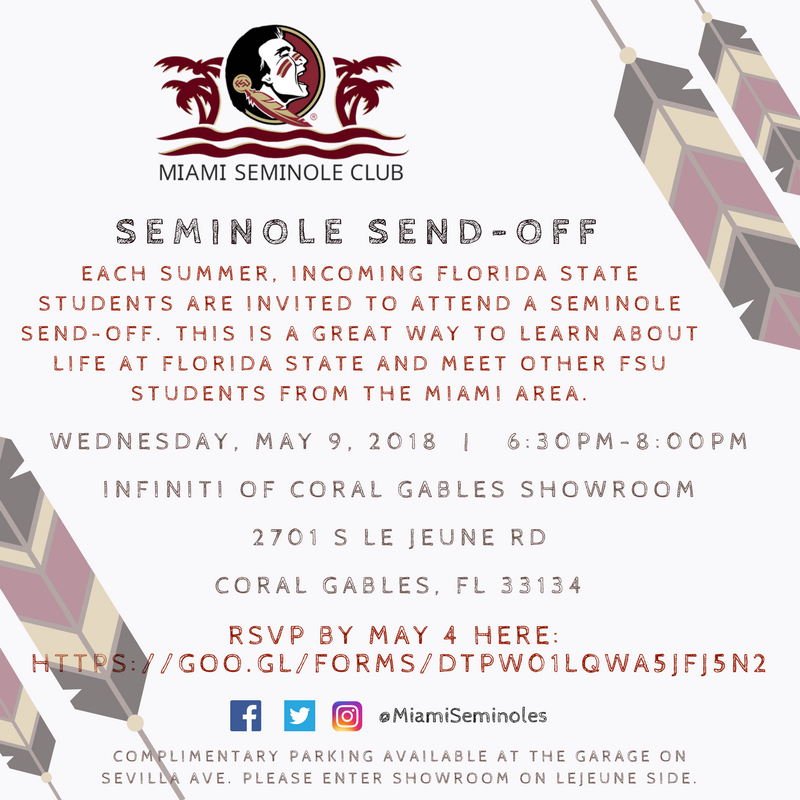 On May 9, 2018, the Miami Seminole Club will be hosting the Seminole Sendoff at the INFINITI of Coral Gables Showroom.